There are several good reasons for expanding the inventory of names included in dictionaries, both quantitatively and qualitatively. In some lexicographical milieus, the concept “name” is understood quite narrowly. However, for a thorough discussion of names and lexicography, we must recognize all possible categories of names. 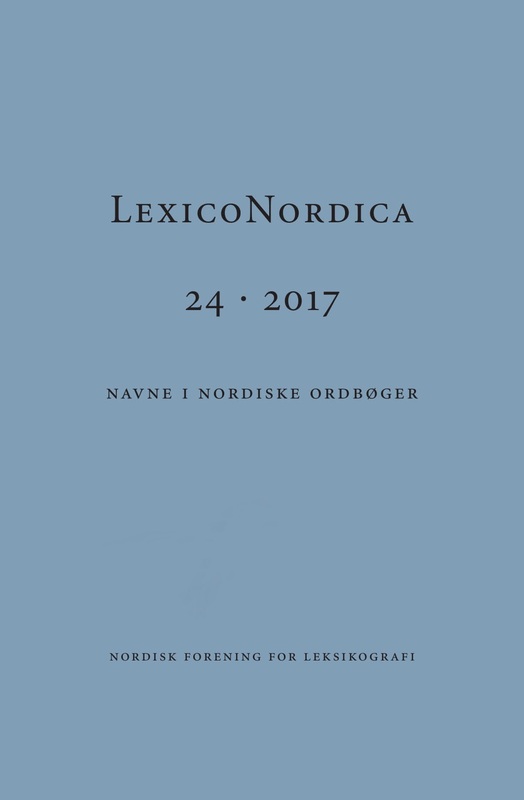 After a general introduction to lexicographical functions, dictionary types and name categories, I lay a specific focus on the relevance of the quite different name types that onomastic researchers have explored so far and on their individual relevance in a dictionary, especially of the bilingual type.